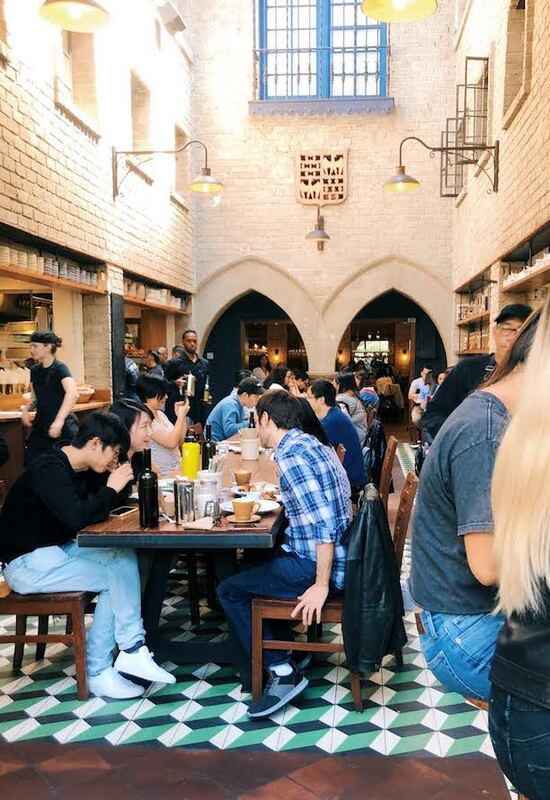 You didn’t do your trip to Los Angeles if you didn’t do a solid brunch. While the city has plenty of great food options, the one thing that we certainly do perfectly is brunch. Recently a few of us here with the Glitterati gang found the need for some solid pastry and brunch food, but were a little short on time. 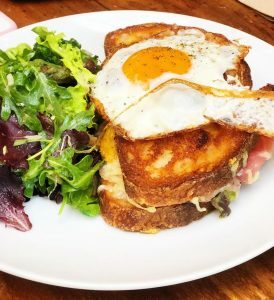 Luckily, one of L.A.’s best French restaurants transforms on Saturday and Sunday mornings/early afternoons into a more casual (but no less delicious), brunch spot. 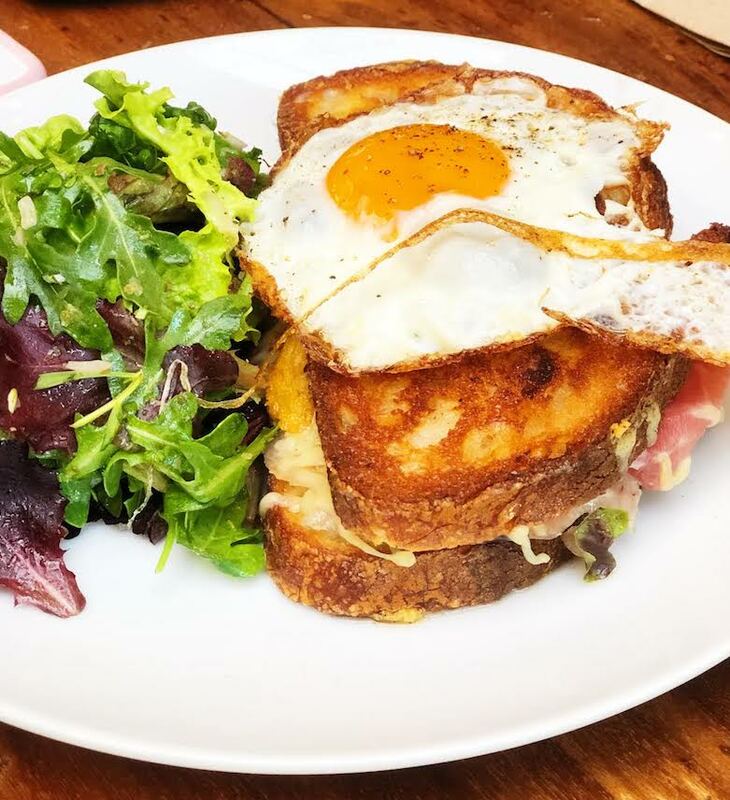 Republique is known for its French food, bread, and pastries (DELICIOUS pastries), and their brunch definitely does not disappoint. To accommodate their many hungry guests, there is no reservation setting for their brunch. Instead, Republique changes their venue for people to line up, order at the counter, and then seat themselves while their food is being prepared. This allows for more people to come through, and a quicker dining experience. If the hunger is already setting in and you find yourself needing something to eat ASAP, hop in line. The wait for you to get through the line and have your food in front of you is rarely ever more than 20 minutes. In the L.A. food world, that is insane. It allows more time for you to get out and continue sightseeing! One may think service is a little less desirable with this model, but it’s not. 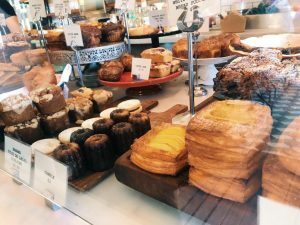 Servers and managers are constantly buzzing around the floor, making sure everything is to your liking, and helping you order an extra coffee or pastry to go…because you’re definitely going to want to leave with a little extra snack for later. It’s Marathon Sunday here in Los Angeles. Also known as sleep in or brunch day. Most major streets are closed off between Dodger Stadium and The Santa Monica Pier, so it’s impossible to get around the city unless you’re on foot, bike, or underground subway. Because of this, it’s the one day out of the year that Glitterati Tours of Beverly Hills takes the morning off. Maybe we’ll see you at Republique (if we’re not sleeping in)!